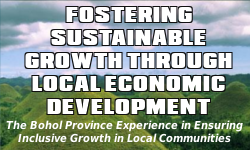 The Strategic Financial Management Plan (SFMP) of the Provincial Government of Bohol (PGBh) is an integrated five-year plan for achieving financial sustainability necessary to maintain and improve the quality of its services. The SFMP provides the financial management strategies to help meet its statutory obligations consistent with its policy directions. The Plan provides a single point of reference for a range of statutory obligations and financial management information. 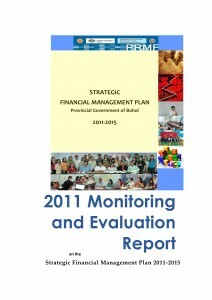 The SFMP shows the direction of the provincial government in the generation and utilization of its financial resources for the next five-year period, 2011 to 2015. The SFMP set goals and objectives which are translated into initiatives and activities identified in the Plan. This made up the strategic financial direction of the PGBh. In order to facilitate and ensure that the PGBh is on track in the implementation of the SFMP, a Monitoring and Evaluation (M&E) Team is identified. Unfortunately for CY 2011, the M&E System of the SFMP is still not in place. Although each finance department of the PGBh conducts yearly assessment and planning activities of its own office operations, the M&E System of SFMP is still a concept. The M&E predetermined activities, which should have as an output an operating SFMP M&E System, are still unimplemented. To manage the deficiency, the designation of the so-called Office Monitoring and Evaluation Officer as per Governor’s Office Memorandum dated December 28, 2010 was done in order to determine the Sectoral Monitoring Units of the Provincial Monitoring and Evaluation System (ProMES). This team is now being utilized as the temporary SFMP M&E team and writers. Help in resolving and mitigating issues as well as improving operational arrangements for the implementation of the SFMP.